It’s been almost two months since I’ve returned from India. For three full days before India I was in London. I had nearly forgotten. I loved it. It was chilly and one day quite rainy, but the energy was electric, in a perfectly appropriate British way, and they had a Starbucks right around the corner from my hotel. A walk through a park took us down to the river Thames passing by a little palace known by the name Buckingham and a little abbey called Westminster. It’s all just name dropping after that. In the park on our way one day we spotted these little birdies. I had no idea what they were so I called them piguins or crowguins. 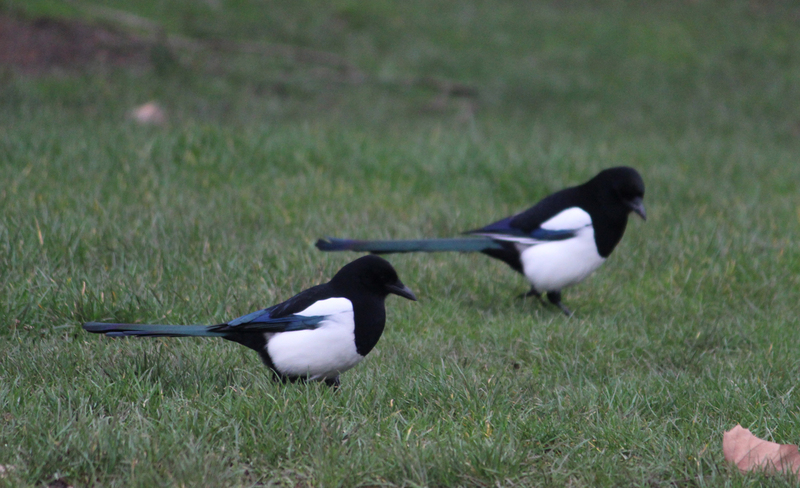 I know now they are magpies. I had never seen one in flesh and feather, although I have been called one on many occasions. I suspect this may have less to do with their formal attire and more to do with their habit of flitting from shiny thing to shiny thing.